Deborah-Lupton-2Choosing something that you are passionately interested in to research is a great first step on the road to successful academic writing but it can be difficult to keep the momentum going. Deborah Lupton explains how old-fashioned whiteboards and online networking go hand-in-hand, and offers advice for when it is time to just ‘make a start’ or go for a bike ride. As U.S. President Donald Trump approaches his 100-day benchmark on Saturday, a media deluge has already begun bemoaning the demise of the liberal order, celebrating waves of deregulation or simply blaming the president's rocky start on the "disaster" he inherited on taking office. Rather than wade into that predictable morass, we prefer to focus instead on what the next 100 days hold in store. Trump is often described as a "transactional" president who sees the world as one big negotiating table where he can leverage his business experience to exact better terms and conditions for American workers and corporations. Trump will therefore try to keep his core agenda focused on what he regards as his sweet spot: U.S. economy and trade. But even though the domestic economy may be the thing closest to the president's comfort zone, it's also where he comes up against a wall of institutional barriers. As a result, his much-touted tax overhaul attempting a steep reduction in the corporate tax rate will remain gridlocked in congressional battles over health care and the budget. Stephen J. Hadley, chairman of the board of the U.S. Institute of Peace, was U.S. national security adviser from 2005 to 2008. Andrew Wilder is the institute’s vice president of Asia programs, and Scott Worden is director of Afghanistan and Central Asia programs. Even as armchair critics leave no stone unturned to tag the central government’s sanitation and public health schemes, mainly the Swachch Bharat Abhiyan, mere eyewash or tokenism, look who is vouching for Prime Minsiter Narendra Modi’s work in this direction. World’s richest man, Microsoft founder and philanthrophist Bill Gates is all praise for the campaign which was kickstarted by the Prime Minister, unabashedly speaking of toilets in his first Independence day speech. Gates, in his blog, wrote a piece titled ‘India is winning its war on human waste’, lauding the steps taken by the nation to deal with dirt and disease. He applauding the speech as “one of the boldest comments on public health that I have ever heard from an elected official...” . When a private sector employee meets an IAS official or army officer, the conversation often turns to discussing the difficult working conditions of the latter, and how underpaid they are. Some officials envy take-home salaries in the private sector, while private sector employees envy the lifestyles of government servants. This thinking arises because more often than not, government officials compare salaries and not what their perks cost to the government. This article compares elements of employee cost and qualitative factors for the vice-president (VP) of a private sector company, a joint secretary (IAS) in the government, and an Army Colonel (Col), all with around 20 years of service. The salaries are according to the Seventh Central Pay Commission, or CPC. Pakistan has unleashed a cyber war against India on social media, and India needs to respond quickly and effectively, not by banning but by countering the enemy thrusts. Organizing stone pelters through WhatsApp groups to help terrorists is only one part of the story. Over 1000 videos supporting Jehad in Kashmir have been created and several thousand anti India posts in social media have been shared in the last six months. They are both soft toned as well as radical videos, some arousing sympathy for victims, others arousing hatred against armed forces. The videos and posts are roughly positioned around the slogans we heard last year in JNU of “Kashmir Mange Azadi, Bastar Mange Azadi” and have been part of the the biggest organized cyber war being conducted against India, by neighboring nation Pakistan. The hacking of the IIT Delhi, IIT BHU and DU websites with Pakistan Zindabad slogans, the intelligence failure to detect the attack on the CRPF battalion at Chattisgarh are all part of this cyber war. Attacks on Banks and other public sector Institutions are expected to happen as next moves in this cyber warfare. Footage provided by Afghan Local Police, from the site where the U.S. Forces - Afghanistan conducted a strike against an ISIS-K complex in Achin District, Nangarhar Province, Afghanistan on April 14th 2017. The strike is part of the U.S. campaign to destroy ISIS-K in Afghanistan in 2017. The munition used, the GBU-43, is designed to destroy caves and tunnels, which ISIS-K had been using to move around the battle field and protect themselves from attacks from Afghan and U.S. Forces. First announced in 2013, the unnamed vessel was launched from a drydock in Dalian Shipyard in Liaoning Province and towed to a nearby wharf, China’s Ministry of National Defense said. The People’s Liberation Army’s second carrier, the vessel will undergo supplemental equipment upgrades and operational testing before formally entering service in 2020. But Wednesday’s launch is hugely symbolic for a Beijing with growing military ambitions in the South China Sea, signifying “a major stage of progress of our country’s indigenous design and construction of aircraft carriers,” as a PLA news bulletin put it. Constructed by the Dalian Shipbuilding Industry Company, the unnamed carrier is officially a Type 001A aircraft carrier, designed based on the Kuznetsov-class carriers that were the last class commissioned by the Soviet Union. The country is becoming a hub for global AI development. Five priorities can help China harness AI for productivity growth and prepare for the societal shifts it may unleash. Artificial intelligence, or the idea that computer systems can perform functions typically associated with the human mind, has gone from futuristic speculation to present-day reality. A new discussion paper from the McKinsey Global Institute, originally presented at the 2017 China Development Forum, explores AI’s potential to fuel China’s productivity growth—and to disrupt the nation’s workforce. Where computer systems once had to be programmed to execute rigidly defined tasks, they can now be given a generalized strategy for learning, enabling them to adapt to new data inputs without being explicitly reprogrammed. Advances in data collection and aggregation, algorithms, and processing power have paved the way for computer scientists to achieve significant breakthroughs in artificial intelligence. AI has now moved beyond the lab, with many machine-learning systems already in commercial use for a wide variety of applications. Adoption is growing rapidly in sectors such as finance, healthcare, and manufacturing. The country could exert leadership in seeking to preserve globalization’s benefits while addressing its downsides. Globalization has been a powerful force for economic growth. Research from the McKinsey Global Institute (MGI) finds that the movement of goods, services, finance, data, and people across borders adds to GDP and fuels productivity growth—and China has been one of the world’s major beneficiaries. The nation’s period of double-digit GDP growth in the mid-2000s was fueled by even faster growth in the flow of goods in and out of China. As exports surged from just $257 billion in 2000 to $2.4 trillion in 2016, China became the world’s top exporter. But while globalization accelerates growth, it also amplifies inequality and disruption. Across 25 advanced economies, some two-thirds of households experienced stagnating or declining income from 2005 to 2014—all while watching the wealthiest few in their countries realize tremendous gains. This growing inequality has spawned a political backlash, with calls for protectionism and immigration restrictions gaining traction in many countries. This path could have damaging consequences in a world still struggling to jump-start growth. While the Chinese People’s Liberation Army’s (PLA’s) new Strategic Support Force (SSF) is a critical force for dominance in the space, cyber, and electromagnetic domains, the SSF’s function of “strategic support,” namely information support, will be equally vital to the PLA’s capabilities to fight and win wars. Based on the available information, the SSF is composed of the Aerospace Systems Department, which has seemingly consolidated control over a critical mass of the PLA’s space-based C4ISR systems; and the Cyber (or Network) Systems Department, which appears to integrate the PLA’s information warfare capabilities, enabling the coordinated pursuit of electronic countermeasures, cyber attack and defense, and psychological warfare missions. Beyond information warfare, the SSF has taken responsibility for strategic-level information support, through activities including intelligence and technical reconnaissance, to the rest of the PLA. While the integration of information warfare capabilities is consistent with trends in the PLA’s doctrinal writings, this integrated approach to information support across these domains reflects a more novel change that could enhance the PLA’s capability to actualize integrated joint operations. … Every day, for weeks, the battle to take western Mosul from the Islamic State has looked like this: a block-by-block crawl as casualties mount. The militants are contesting every move by the counterterrorism forces, and they are making full use of the hundreds of thousands of civilians still trapped in their strongholds. “If the city was empty of civilians, we could have been done with our mission a long time ago,” said Lt. Gen. Abdul-Wahab al-Saadi, a senior commander with the counterterrorism service. The plight of civilians appears to be worsening by the day, adding to commanders’ urgency to find some edge against the Islamic State here. The Iraqis do not have the luxury of conducting a siege: Prime Minister Haider al-Abadi has told his generals that dragging out the Mosul operation, now in its seventh month, would work only to the advantage of the Islamic State, which many in the West call ISIS or ISIL, but the Iraqis call Daesh. Mike Conaway, the Republican who replaced Devin Nunes as head of the House Intelligence Committee’s investigation into Russian meddling in the U.S. election, has described his mission simply: “I just want to find out what happened,” he’s said. The more urgent question elsewhere in the world, however, isn’t confined to the past. It concerns what is happening—not just in the United States but in European democracies as well. In the Netherlands, Dutch authorities counted paper ballots in a recent election by hand to prevent foreign governments—and Russia in particular—from manipulating the results through cyberattacks. In Denmark, the defense minister has accused the Russian government of carrying out a two-year campaign to infiltrate email accounts at his ministry. In the United Kingdom, a parliamentary committee reports that it cannot “rule out” the possibility that “foreign interference” caused a voter-registration site to crash ahead of Britain’s referendum on EU membership. And in France, a cybersecurity firm has just discovered that suspected Russian hackers are targeting the leading presidential candidate. “We are increasingly concerned about cyber-enabled interference in democratic political processes,” representatives from the Group of Seven—Canada, France, Germany, Italy, Japan, the U.K., and the U.S.—declared after meeting in Italy earlier this month. Russia, a member of the group until it was kicked out for annexing Crimea, wasn’t mentioned in the statement. It didn’t need to be. The subtext was clear. After just three months, the Trump administration appears to be over. The agenda which got President Trump elected is being tossed over the side, replaced with the usual Republican establishment policies that don’t work. It looks as if we are in for more immigration, more free trade that wipes out middle class jobs, more political correctness, and more avoidable foreign wars where we have no real interests at stake. As for Donald Trump himself, he is rapidly being relegated to the role of the crazy uncle who lives in the attic. Secretary of State Rex Tillerson seems to know less about grand strategy than he does about Maya glyphs. He has set us back on an anti-Russian foreign policy course where the U.S. is to promote Jacobin concepts of “human rights” while bombing anyone and everyone around the world. Both actions work to the advantage of our Fourth Generation, non-state enemies. Coupled with a failure to reform our Second Generation armed forces, we are on the same road to over-extension and collapse that every other Power seeking world dominion has followed. Donald Trump ran against all of this, and won. But what the public wants counts for nothing to the Republican establishment. The drumbeat of bad news for those who voted for Trump because they wanted reform grows louder daily. The New York Times can hardly contain its glee. On April 13 it reported that Steve Bannon, the highest-placed anti-establishment figure in the Trump administration, may be on his way out. Coming in, according to the Times, is Kevin Hassett, who will serve as head of Trump’s Council of Economic Advisors and who is rabidly pro-immigration. He has denounced the Republican Party for becoming the “Party of White.” Wall Street, which wants cheap labor, will be delighted. Relations between the U.S. and Russia — the two foremost nuclear superpowers — has reached a “low point” because of the U.S.’s accusations that Russia meddled in the U.S. election and is involved with the use of chemical weapons in Syria. Meanwhile, North Korea draws ever closer to constructing a device that could threaten Washington. You may have heard that the majority of the world's population actually lives within a relatively small circle that covers China, India, Japan, and other parts of Southeast Asia. This week on “Bombshell,” we dissect Trump’s first 100 days: whither America First, Axis of Adults (or just the big kids table? ), budget shenanigans, and delegating all the things. But first, Mira Rapp-Hooper joins us to walk through the state of play on the Korean Peninsula (and reveals where you can get literal bombshells made into knives). And then Loren and Erin confess why all we want in life is Mara Jade back in the Star Wars canon. How Should We Treat Our Military Robots? Increasingly human-like automated weapons demand an honest accounting of our emotional responses to them. The audience of venture capitalists, engineers and other tech-sector denizens chuckled as they watched a video clip of an engineer using a hockey stick to shove a box away from the Atlas robot that was trying to pick it up. Each time the humanoid robot lumbered forward, its objective moved out of reach. From my vantage point at the back of the room, the audience’s reaction to the situation began to sound uneasy, as if the engineer’s actions and their invention’s response had crossed some imaginary line. If these tech mavens aren’t sure how to respond to increasingly life-like robots and artificial intelligence systems, I wondered, what are we in the defense community missing? This is a pressing question. Military autonomous capabilities are no longer an abstract area of promise – and peril. “The idea of artificial intelligence and computing becoming almost human is very much what we’re working on today with some of our technologies,” said AMD President and CEO Lisa Su in a WIRED video interview with legendary film director Ridley Scott, whose Alien saga and Blade Runner films shaped how many of us visualize lifelike robots. The above is the title of an article on DarkReading.com’s website, (April 24, 2017) by Kelly Sheridan. Ms. Sheridan first reminds readers that the CIA and FBI are conducting a joint investigation to discover who leaked the highly sensitive, classified files which Wikileaks published last month — that revealed tools the CIA used for hacking into various Internet of Things (IoT) devices. Ms. Sheridan, citing “sources close to the investigation,” writes that investigators are focusing on a current CIA employee, or contractor,” who did, or would have had physical access to these documents/files. CBS News has reported that these files “were stored in a “highly secure” CIA division.” “The files, collectively named Vault 7, included information on zero-day vulnerabilities for Windows, Android, and iOS, as well as exploits against routers and smart TVs,” Ms. Sheridan wrote. “Shortly after the Wikileaks dump,” Ms. Sheridan writes, “cyber security firms connected the Vault 7 documents with a cyber espionage group known for targeting governments and private companies with a variety of [hacking] tools. Each company has a different name for the group, which many believe to be the CIA.” The Russia-based, “Kasperky Labs, calls the group — the Lamberts — and, claims its tools target Windows and MAX OS devices;” while “Symantec calls it [the group] the Longhorn, and said that attacks are aimed exclusively at Windows targets. 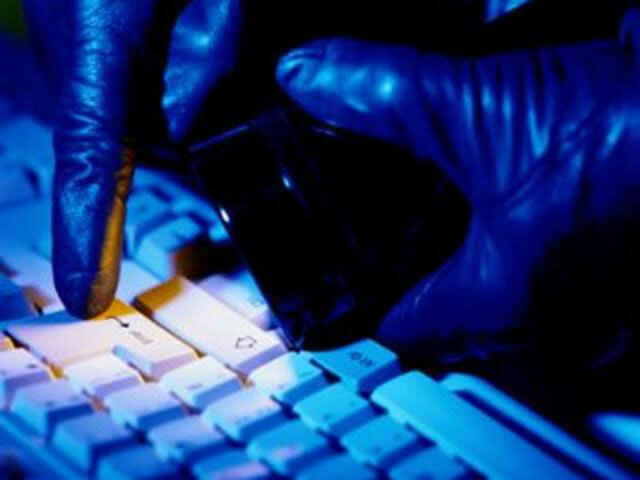 Symantec started looking into these tools three to four years ago,” said Vikram Thakur, Principal Researcher at Symantec Security Response. It is no surprise that the United States and its European allies are looking to integrate offensive cyber capabilities as part of their military operations. Last year, the Pentagon boasted about dropping “cyber bombs” on the self-declared Islamic State group. France and the United Kingdom have built similar capabilities, as have smaller European states, such as Denmark, Sweden, Greece and the Netherlands. Unfortunately, as NATO members rush to build their capabilities, they will quickly have to confront challenging trade-offs. Cyberweapons—or specifically the vulnerabilities they exploit—tend to be single use weapons: once a defender or vendor identifies a vulnerability being exploited, they can patch it, rendering the attacker’s capability useless as well as the capability of any other potential attacker who built a weapon around the same vulnerability. In other words, one state’s exploitation of a vulnerability will affect its allies’ ability to do the same. As the United States’ European allies develop their capabilities, Washington will be forced to deconflict their use of cyberweapons with European capitals, especially as they look to fight the same enemies such as the Islamic State in Syria and Iraq. Similarly, a European country would want to tip off their U.S. counterparts before attempting to dox Vladimir Putin given the fact that rendering compromising information public could tip off Russia of its vulnerabilities in specific Kremlin networks, perhaps the same vulnerabilities the United States exploits for foreign intelligence purposes. It’s information warfare, not cyberwarfare, and that is an important distinction. I continue to be frustrated by commentators who label the Russian activity to influence the election as a cyberattack. It was, in fact, information warfare, and it was conducted in the same way the Russians conducted information warfare well before everyone was on the internet and connected on social media. It is important to make this distinction to ensure that we are getting to the root cause of the problem. It is unhelpful to conflate information warfare with cyberwarfare, a term I am not fond of, by the way. War is war. The fact that we can exercise the elements of national power in and through cyberspace does not constitute a new definition of war. The fact the Russians conduct information operations leveraging cyberspace does not change the fact it is information warfare. This issue becomes particularly significant when you look at some of the statements made recently by members of Congress who appeared to be less concerned with Russian capability to attack critical infrastructure and more concerned with their ability to "hack" the election process. Both issues are important and need to be addressed, but it is important to identify the attack mechanism in order to employ the appropriate countermeasures. Three of the United States’ largest military contractors each won multimillion-dollar projects in the last month to boost American offensive power in the cyber domain. Raytheon, Northrop Grunman and Booz Allen Hamilton have all seen their stock prices rise 10 to 20 percent since the November 2016 U.S. election. Investors sprinted to military contractors based on Trump’s promises for higher spending on — among other warfighting capabilities — the cyber domain. Many of the world’s biggest weapons manufacturers are expanding aggressively into offensive and defensive cybersecurity in search of the same level of profitability found in building conventional weapons systems. Raytheon will build the Air Force’s newest Cyber Command and Control Mission System (C3MS) operating location — at San Antonio’s Lackland Air Force Base — after winning an $8.5 million contract this week. Lackland is home to the 24th Air Force, the organization tasked with operating and defending the Air Force’s networks. It’s currently commanded by Maj. Gen. Christopher Weggeman. The C3MS system is designed, by the military’s description, to extend the U.S. Air Force’s “global reach, power and vigilance” into the cyber domain by providing permanent operational support to combatant commanders around the world. In addition to securing Air Force networks and information processing systems, C3MS includes offensive cyberspace operations, expansive real-world and cyber domain surveillance capabilities and close coordination with other key cyber domain commands including the United States Cyber Command. The United States’ cyber defense capability is “terrible … it’s wholly inadequate,” the former head of the National Security Agency said Friday in a speech at Duke. Gen. Keith Alexander, former commander of U.S. Cyber Command and former director of the National Security Agency (NSA) under Presidents Bush and Obama, said the nation’s cyber offense is solid. But the U.S. needs to improve defensive capabilities to protect against the growing threats from outside the country, especially against businesses. “Over the last decade cyber has become an element of national power used by us and by our adversaries. We need the defensive architecture that allows industry to defend itself long enough for government to (then) come in and help,” Alexander told an audience Friday night at Gross Hall. He called for a real-time system in which companies can jointly monitor attacks and block them instead of largely fending for themselves. The Air Force is expanding a program designed to bring cyber responsibility down the squadron level. Last year 15 squadrons took part in the Cyber Squadron Initiative, which trains communications teams to manage cyber needs around mission activities. In fiscal 2017 Air Force headquarters will select 15 additional squadrons for the program. In addition, two major commands — Air Combat Command and Air Force Space Command — will together add 15 more to the program, said Maj. Gen. Patrick Higby, director of cyberspace strategy and policy for the Air Force. “A communications squadron 10 years ago spent up to 90 percent of its time operating and sustaining IT services, and they spent very little time securing and defending those. We want to shift that balance of effort,” Higby said. The changing nature of warfare is pushing the Air Force to get more proactive on cyber at the squadron level. “All our weapons systems were designed to act in a permissive cyberspace environment, but we now know that cyberspace is contested and we need to secure the mission in that contested environment,” Higby said. Most revealing perhaps are insights into how NSA has operated domestically. The Intercept is publishing two stories on this topic, including one about NSA cooperation with law enforcement during American political conventions, and in a throwback to the movie “Bladerunner,” another article describes a spy balloon used over the United States. A recession in the United States is likely to come in the next two years. It is difficult to determine when a recession will occur based solely on economic activity. Economists argue about the precursors to a recession as a matter of course. I am not making the case that one will happen because I believe I am competent to enter that debate. Rather, I am making the case that one is increasingly likely simply by looking at the frequency with which they occur. The last recession started in 2007 and ended in 2009. The one before that started and ended in 2001. The two previous recessions ran from 1990 to 1991 and from 1981 to 1982. In these cases, the time between the end of one recession and the start of another was about eight years on average. Between 1945 and 1981, recessions were much more frequent, but obviously something has happened to extend the time between them. The world’s centre of political and economic gravity is moving eastwards to Asia. The maritime order in the Indian Ocean is calm but fragile due to the lack of an overarching security architecture and a diverse range of traditional and non-traditional security threats facing the region. Maritime cooperation agreements, naval risk reduction measures and negotiations around code of conduct, policing and applicability of UNCLOS are needed in peace time to keep the Indian Ocean secure in the future. The importance of the Indian Ocean needs no reiteration especially for a country like Singapore whose existence, prosperity and security was, and always will be, intimately linked to it. It is not necessary to go into the figures to convey the importance of the Indian Ocean to the world’s container trade, oil trade and even the transportation of coal. And yet, the Indian Ocean region as a whole is one of the least economically integrated regions of the world. There is a historical irony here, because thanks to the predictable monsoons, the Indian Ocean didn’t have to wait for the age of steam to be united unlike the other oceans. Deep water sailing developed here first. The 38 states around the Indian Ocean account for over 35% of the world population but only over 10% of the world GDP. Rather strangely, these states are more integrated with the rest of the world then they are with each other. When I arrived at European Command in Stuttgart, Germany, in 2008, Gen. Bantz Craddock was wrapping up his time as the European Commander. Then, in 2009, Adm. Jim Stavridis took over. After his arrival, some immediate and interesting changes occurred. To begin, Stavridis sent a note to the staff listing over 30 books — from Russian history to the Balkans conflict — for the staff to read, think about and debate. It was the first salvo in a series of blogs and e-mails that he would use to tell the staff what he was reading and, more importantly, where his head was. A few weeks later, books in his reading list showed up on shelves in directorates’ offices, in the base library, and always in his talks he gave when he was in town. Then, after a few months, Stavridis began inviting authors to give talks at the command: people like Dave Kilcullen on his book The Accidental Guerilla and the classical historian Barry Strauss on his book The Battle of Salamis. No doubt about it, it was an intellectually stimulating place to work. Now Stavridis is out of uniform, but ever the voracious reader and advocate for self-improvement, he has co-authored a book titled The Leader’s Bookshelf, for which he interviewed 200 general officers and flag officers about their reading habits and their favorite books. And from those interviews he and his co-author, R. Manning Ancell, came up with a list of 50 books that provide lessons for leaders today. I had the chance to chat with Admiral Stavridis about what he is reading, the health of our military reading culture, and all things bibliomania. Periodically, Pakistan’s Inter-Services Intelligence (ISI) offers fresh evidence that it remains a rogue agency. This includes the year-long saga involving its abduction from Iran of a former Indian naval officer, Kulbhushan Jadhav, who was recently sentenced to death by a secret military court in Pakistan for being an Indian “spy”. The case indeed stands out as a symbol of the thuggish conduct of an irredeemably scofflaw state. Just because Pakistan alleges that Jadhav was engaged in espionage against it cannot justify the ISI’s kidnapping of him from Iran or his secret, mock trial in a military court. Under the extra-constitutional military court system — established after the late 2014 Peshawar school attack — judicial proceedings are secret, civilian defendants are barred from engaging their own lawyers, and the “judges” (not necessarily possessing law degrees) render verdicts without being required to provide reasons. The military courts show, if any evidence were needed, that decisive power still rests with the military generals, with the army and ISI immune to civilian oversight. In fact, the announcement that Jadhav had been sentenced to death with the Pakistani army chief’s approval was made by the military, not the government, despite its major implications for Pakistan’s relations with India. China has fundamentally altered the physical and political landscape in the strategic South China Sea through militarisation and large-scale land reclamation, a top American admiral alleged today. Chinese military modernization is focused on defeating the US in Asia by countering US asymmetric advantages, Admiral Harry Harris, Commander of US Pacific Command told lawmakers during a Congressional hearing. “North Korea continues to disregard UN sanctions by developing and threatening to use intercontinental ballistic missiles and nuclear weapons that will threaten the US Homeland. “China has fundamentally altered the physical and political landscape in the South China Sea through large-scale land reclamation and by militarising these reclaimed features,” Harris said.He said China continues to press Japan in the East China Sea, stepping up diplomatic and economic pressure against Taiwan, and methodically trying to supplant US influence with “our friends and allies in the region”. “Furthermore, China is rapidly building a modern, capable military that appears to far exceed its stated defensive purpose or potential regional needs. China’s military modernisation is focused on defeating the US in Asia by countering US asymmetric advantages,” Harris alleged. China’s military modernisation cannot be understated, especially when one considers the Communist regime’s lack of transparency and apparent strategy, he said, adding that China is committed to developing a hypersonic glide weapon and advanced cyber and anti-satellite capabilities that present direct threats to the Homeland. “China’s near-term strategy is focused on building up combat power and positional advantage to be able to restrict freedom of navigation and overflight while asserting de facto sovereignty over disputed maritime features and spaces in the region,” the top American commander said. There is a silent revolution happening in Bastar, and not what the Maoists had dreamt of. And emerging out of the pernicious shadow of the Maoists, people - almost all of them adivasis - have started to aspire for a normal life like the rest of their countrymen. On 24 April, Maoist terrorists killed 25 CRPF men in the latest atrocity in Sukma district in the Bastar region of Chhattisgarh. Yet, this may be part of the last throes of a failed revolution that has little support anymore from the adivasis it was supposed to liberate. Yes, there is a war on, but the state is winning that war. Travelling extensively around Bastar, this correspondent saw a remarkable change in mood among the people. I saw hope, I saw aspirations, I saw development that was striking at the roots of the demented Maoist cause. The land where a lot of blood has been spilled is now nurturing many dreams: farmers wanting to sell their organic produce in faraway cities, children orphaned by Maoists aspiring to become doctors and fashion designers, women widowed by the red terrorists dreaming of becoming entrepreneurs, and a lot more. The Taliban claimed credit for a suicide attack outside of a US base in eastern Afghanistan that has hosted CIA operatives who are hunting al Qaeda and other jihadists in the region. A suicide bomber detonated a vehicle packed with explosives at the main gate for Camp Chapman, a base in Khost province that used to be known as Forward Operating Base Chapman. A US military spokesman confirmed to Reuters that the assault took place and it appears casualties are among Afghan forces guarding the perimeter. No US military or civilian personnel are reported to have been killed, and the number of Afghan casualties has not been disclosed. On Voice of Jihad, the Taliban’s official website, the group claimed that the suicide bombing was followed up by an attack team that was able to enter the base and engage Afghan forces. “To begin, a brave Mujahid of the martyr team slammed a van filled with explosives into the base, enabling the rest of Mujahideen to get in and engage in a deadly fighting,” the Taliban stated. This version of the operation cannot be verified at this time. Afghanistan’s defense minister and army chief of staff resigned on Monday after the deadliest Taliban attack on a military base, and U.S. Defense Secretary Jim Mattis said he was “under no illusions” about the problems facing the country. Mattis, visiting as the United States looks to craft a new Afghanistan strategy, held talks with Afghan President Ashraf Ghani, officials and U.S. commanders, who want more troops. “2017 is going to be another tough year for the valiant Afghan security forces and the international troops who have stood, and will continue to stand, shoulder to shoulder with Afghanistan against terrorism,” Mattis said. General John Nicholson, the head of U.S. and international forces in Afghanistan, said he was “not refuting” reports that Russia was providing support, including arms, to the Taliban. A senior U.S. military official, speaking on condition of anonymity, told reporters that intelligence showed Russia was providing money and machine guns to the Taliban. Russia has previously denied providing any material or financial aid to the insurgent group, but has said it maintains ties with Taliban officials in order to push for peace talks. Moscow has been critical of the United States over its handling of the war in Afghanistan. Shiyana Gunasekara, former Fulbright Scholar in Sri Lanka, explains that “This should be of particular concern to India, since China has used the Colombo South Container Terminal to dock submarines, as opposed to the Sri Lanka Port Authority’s mooring designated for military vessels." For analysts of the Chinese economy, questions about the accuracy of the country’s official GDP data are a frequent source of angst, leading many to seek guidance from alternative indicators. These nonofficial gauges often suggest Beijing’s growth figures are exaggerated, but that conclusion is not supported by our analysis, which draws upon satellite measurements of the intensity of China’s nighttime light emissions - a good proxy for GDP growth that is presumably not subject to whatever measurement errors may affect the country’s official economic statistics. In the eyes of many observers, China’s economy seemed to be entering a tailspin in 2015, with a stock market crash in June followed by a surprise currency devaluation in August. And yet, the official GDP data showed growth slowing hardly at all, ticking down to 6.8 percent at the end of the year from 7.2 percent in 2014. The financial press pounced on these “questionable" statistics, often citing a now-famous 2007 exchange between Premier Li Keqiang, then the Communist Party secretary of Liaoning Province, and U.S. Ambassador Clark Randt. Li admitted that he preferred to assess the state of Liaoning’s economy by averaging the growth rates of electricity production, rail freight, and bank loans, adding that official statistics were “man-made" and “for reference only."